I’m Happy to Welcome You on This Website! THE MOST DIFFICULT THING IS TO WRITE ABOUT ONESELF. THAT IS WHY I KINDLY ASKED MY FRIEND TO DO IT. HE HAS BEEN BY MY SIDE FOR OVER 25 YEARS NOW AND KNOWS EVERYTHING ABOUT MY LIFE. I THOUGHT THAT HE WOULD GIVE ME A MORE OBJECTIVE OPINION, SO I WOULD ONLY HAVE TO PROOFREAD IT. KONSTANTIN KONDAKOV WAS BORN ON JUNE 10, 1982, IN THE TOWN OF MELITOPOL IN ZAPOROZHYE REGION (UKRAINE) IN A COMMON FAMILY. HIS FATHER WAS A UNIVERSITY TEACHER AND HIS MOTHER WORKED AS AN ECONOMIST AT A CONSTRUCTION AND REPAIR FIRM. HIS CHILDHOOD WAS USUAL, SIMILAR TO THAT OF MANY OTHER CHILDREN. At school, Konstantin Kondakov developed a deep interest in mathematics and information technologies and this shaped his further life. Already in high school, he wrote software and had a small business assembling computers from spare parts. From 1998 until 2002 Kondakov was a student at Tavria State Agrotechnical Academy, majoring in economics, but, unfortunately, he did not graduate then, because he had no time to study or attend lectures at all. At that time, he already devoted all of his time to working with computer hardware and it was the time when Kondakov began his formation as a businessperson. Years later, already being a successful businessperson and a well-known financial expert, Kondakov got back and graduated from this Academy getting the desired diploma. In one of his interviews, answering a question why he did it, Kondakov answered, "I just never give up and I always try to finish what I start!" Then in the 2000’s, after he had made a break in his studies at the Academy, Kondakov was occupied with all possible things in order to make his first capital. He traded rolled metal products, opened his own smithy, a tour agency, and a commission store. He traded with spare parts for agricultural machines and even chickens, he and his friend sold them around the region. Ultimately, his love for IT took over and he completely dipped into the Internet and ways to earn money online. 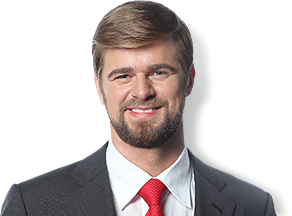 In 2006, Konstantin Kondakov graduated from Zaporozhye Institute of State and Municipal Management, majoring in Enterprise Management, and in 2011 he received a Master’s degree in Administrative Management. Later on, Konstantin Kondakov got the Master’s degree of State Management by graduating from National Presidential Academy of State Administration of Ukraine. Konstantin Kondakov has 3 degrees in total and is not going to stop. Kondakov considers education to be his major tool for personal growth and says one has to keep learning all the time. In 2004-2005 Konstantin Kondakov began to try himself as a trade and financial analyst continuing to expand his interests in the IT sphere at the same time. The major line of his activity was to provide consulting and outsourcing services, website and software development, SEO, and, of course, financial market analysis. In 2005, Konstantin Kondakov initiated the creation of a charity foundation, which still exists. Kondakov has always supported the idea that everyone must do good deeds and he is still of this opinion, doing his best to help everyone who is in need. 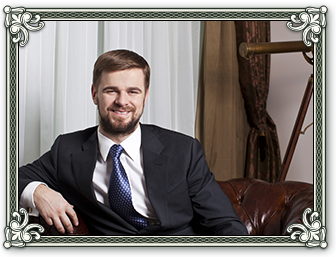 Since 2006, Konstantin Kondakov has been giving most of his time to studying financial markets. Back then, the analysis of global economic trends became his hobby and a basis for his future career. By 2011, Konstantin Kondakov had grown to the level of sharing his experience with others. As a result, his first book Learn to Earn in Forex was published. It became a universal textbook for everyone who wanted to earn in the currency market. The goal of Kondakov was to share his knowledge that helped him achieve success with others. Following up on this initiative, in 2012 his second book How to See and Foresee the Forex Market came out, in which he explained to his readers what the FOREX market was and how one oriented oneself in it in more detail. In 2012 along with his fellow thinkers, Konstantin Kondakov founded the Institute of Economic Development of Ukraine, which united famous scientific leaders in the sphere of economics, social studies and political science. This organization was busy raising the financial literacy of population and worked on the stock market development. Also in 2012, Kondakov became a certified trader in the Ukrainian stock market and began working as an analyst and exchange business expert for MMCIS Investments, a regulated Ukrainian company. In 2013 Kondakov’s third book called The Psychology of Trading, or How to Tame the FOREX Market was published. In this book, he acquaints readers with his views of the global financial system and offers practical advice on controlling one's emotions and fighting stress. Later this book of Konstantin Kondakov was published in English and enjoyed a big success worldwide. Today Konstantin Kondakov’s books are being successfully sold at both the usual bookstores and AppStore, an online marketplace. During the years of his work, Konstantin Kondakov established many companies and inspired many successful IT-projects. Kondakov has developed plenty of scientific publications and articles about financial markets and management. Speaking of the matter of business, Kondakov also became the author of several important developments in the sphere of Internet consulting, which are now used around the world. The bigger Kondakov’s business grew the more efforts he paid to charity, and it did not stay out of public attention either. As a result, in 2013 Konstantin Kondakov received the most prestigious award in Ukraine - "Man of the Year" in the category "Philanthropist". Financial advice given by Kondakov, his analytical forecasts were in great demand and many leading brokerage companies eagerly bought them. Ideas of Kondakov have many times changed the face of the FOREX market in CIS and its competition policy. Kondakov is one of a very few financial analysts who managed to make correct forecasts (in annual statistics) of the currency rates movement for many years in a row. Brokers broadcast those forecasts, and Kondakov’s name was used as an advertising tool to attract customers. The reputation of Kondakov as a financial analyst was so high, that the most rated TV channels in Russia and Ukraine frequently invited him as an expert. Kondakov finished his career as a financial expert and got back to IT in 2014, after the bankruptcy of MMCIS, for which Kondakov provided trading signals and the services of an analyst. In the interview dedicated to the matter of finishing his career, Kondakov claimed ‘MMCIS’s bankruptcy became a great shock for me. I trusted this company, and what is the most important, I related my name with it by giving my consent to be used in its advertising campaign as a person who provided trading signals and analytical data to MMCIS. I was the one trusted by many clients of this company, and I became the hostage of the risks of which I was out of control. The raider attack performed on the company, and further assumption of its assets, accompanied by the general conflict between Ukraine and Russia, became the reason why the company got insolvent, and, alas, I could not do anything with it. I lost a lot of money that was left in MMCIS accounts, but it was not as important as the fact that I lost my religion that I could be confident about reliability of any other company. After MMCIS’s bankruptcy, I received many offers to work for other brokers and banks, but I refused them, as I did not want to be the hostage of risks that I could not control once again. I understood that those companies needed me only for advertising and attracting the most of clients. I did not want to become a victim of the circumstances anymore, and so I decided to retire from financial markets’. After the termination of his financial career, Konstantin Kondakov could devote more time to his scientific work. As a result, in 2017 he defended his candidate’s dissertation called ‘Formation of Electronic Management Mechanisms in Ukraine’ majoring in “State Management Mechanisms’. In his dissertation, Kondakov combined and implemented both knowledge he received while working in the IT sphere and the knowledge he obtained in the course of studying at the Academy of State Management. As of today, Konstantin Kondakov is working on development of several IT projects of world level that he is going to present shortly. For a while, the developments are kept in secret in order to preserve the products’ competitive advantages for as long as possible. Besides, Konstantin is proceeding with his scientific activity and is preparing for defending his doctoral dissertation dedicated to ‘State Management of IT Sphere development’. Konstantin Kondakov represents a new generation of businessmen. He achieved everything he has all by himself, starting his career from scratch as an entrepreneur in a small town. As a businessperson, Konstantin Kondakov is fully dedicated to his job. However, in spite of his heavy workload, he always finds some time for charity and considers all requests for help that he receives. Besides, Konstantin Kondakov is working on his new book and creation of a series of paintings. Konstantin dedicates every spare minute of his time to his children and spiritual practices, so he almost has no time to rest. Konstantin does not spend a single day without praying or meditation. Nevertheless, when he does get a minute for that, he prefers active recreation. Konstantin Kondakov believes in God, who leads him through life.